You read it right: we are having three events in one on April 18th! The evening will start at our old location (Throwback Thursday, anyone?) at 5:00 pm. We will have a pop-up shop open until 8:00 pm with items from our store. At 6:00 pm, we will start our group run from the pop-up shop through the Greg Smith River Trail. But it’s not just a normal group run. Easter eggs will be hidden along the trail up until Powers Port Canoe Access. 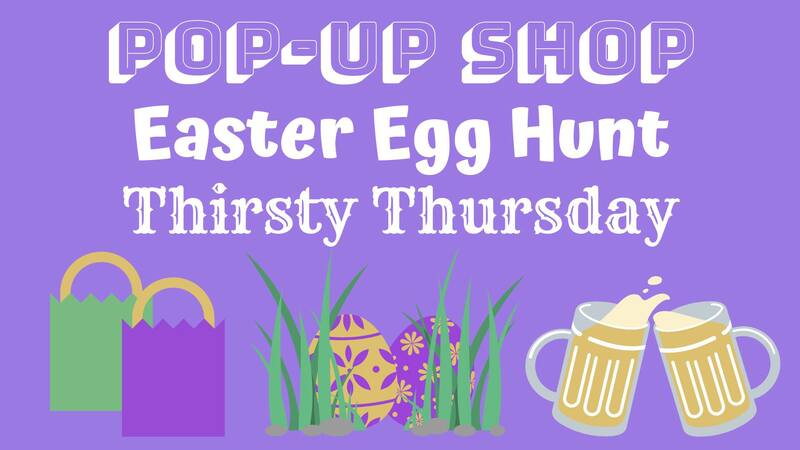 Inside the eggs will be coupons for discounts and free items! We will also be posting pictures of the eggs’ location on our Facebook Story to give you a hint. Check out our website for more information on our group runs and send us a message if you have any questions! To all our moms out there: You deserve an afternoon off! 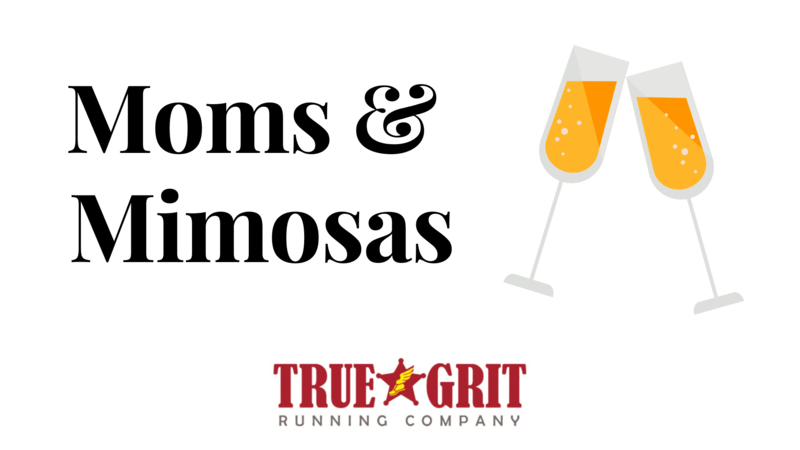 Enjoy a kid-free day of mimosas & 30% off women’s apparel at True Grit Running Company. This event will take place May 12th 1pm-5pm. 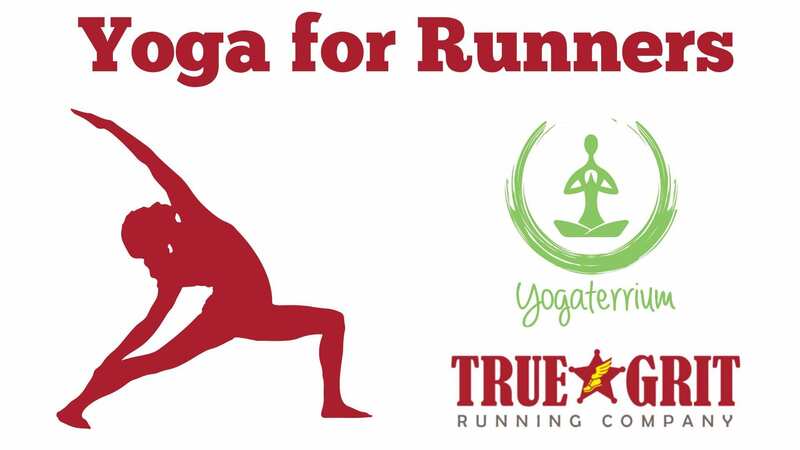 We are teaming up with Yogaterrium to bring you Yoga for Runners! Yoga can help runners achieve greater flexibility, build strength, decrease muscle stiffness, and aid in recovery. Yoga is a great option for cross-training and helping with injury prevention. This class will include key poses for areas of the body that are most overused or prone to injury for runners. We encourage you to bring your own mat. We will have some available for use, but cannot guarantee we will have enough to go around. Please arrive ready to participate in class. Classes usually take place the second and fourth Sunday of every month. If any changes occur, we will update our Facebook Event Pages. We'll Take Your Old Sneakers! 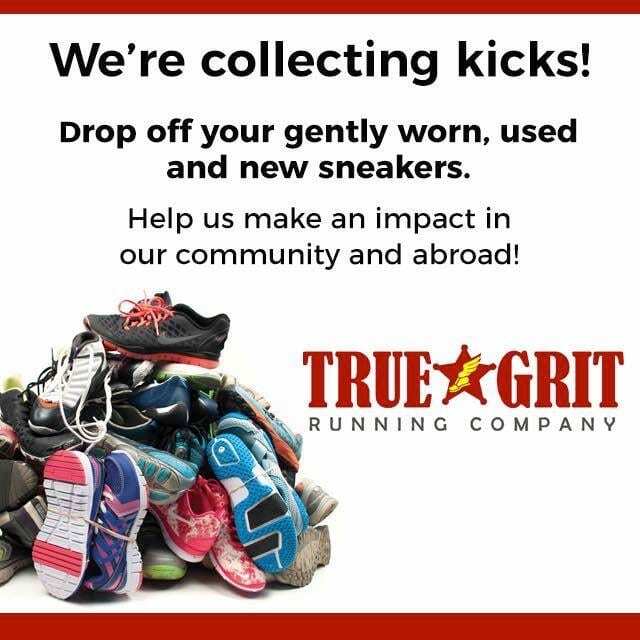 Donate your old sneakers to us at our store’s location and we’ll give them to those in need!